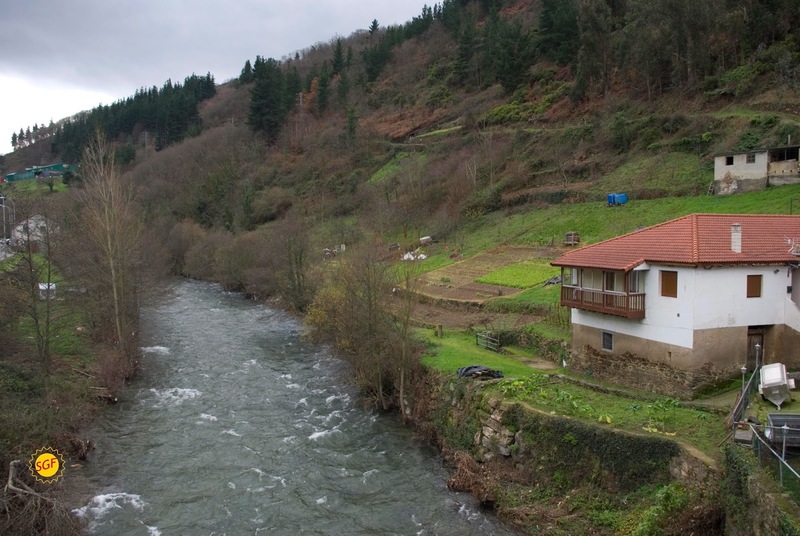 Last Christmas, Santa brought me a trip to Cangas del Narcea. The region of Cangas del Narcea, Degaña and Ibias is on the southwest of Asturias, and most of it is occupied by Fuentes del Narcea, Degaña and Ibias Natural Park. This Natural Park is home to mountains and valleys of great importance covered by native forests. 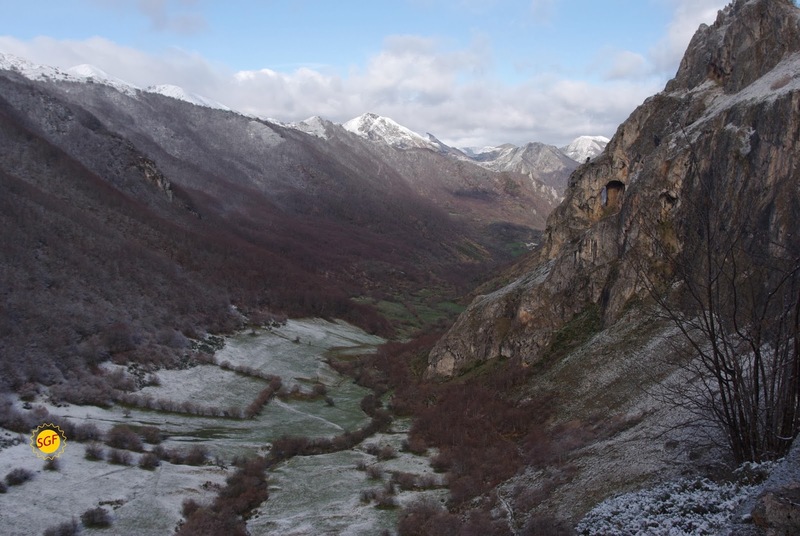 Other natural areas, such as Muniellos Natural Reserve and Somiedo Natural Park are very close to the region of Cangas. 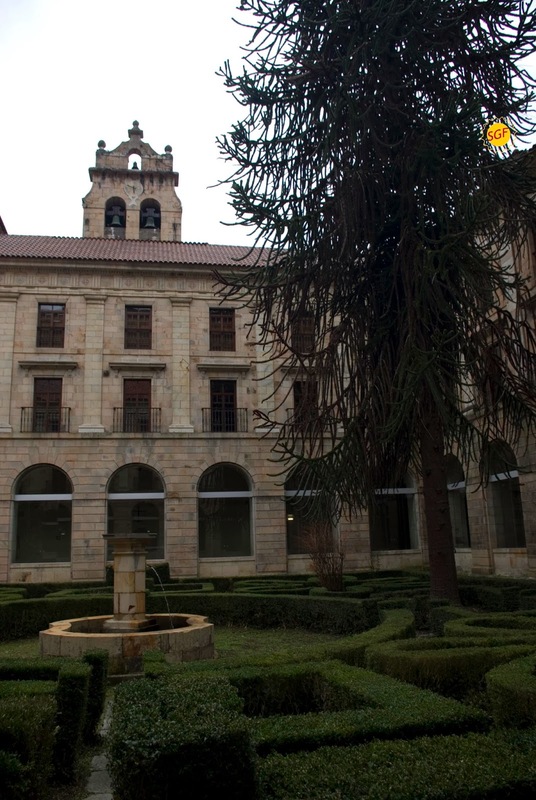 A unique place to enjoy the last days of 2013, but not only because the beauty of its landscapes and monuments but also because Cangas del Narcea is maybe the region of Spain with a bigger ratio of celiac people! The hotel where we stayed was the Parador Nacional de Corias. Santa chose this accommodation because Paradores are very good hotels (see previous reviews) and I had been a good girl in 2013 ;) and most of all because it has gluten-free menu in the restaurant and in breakfast. Thereby we could be confident to have a GF choice, because we had been looking for information of restaurants to eat gluten-free and we did not find any. It is not surprising, because the region of Cangas has only 6,000 inhabitants, and it is composed by little towns where it would not be usual to find many people who know what celiac disease is. Isacel is at Puenticiella (Ponticieḷḷa in bable, the tongue of Asturias), a town on the southeast of Cangas del Narcea. It opened last September because a member of the family is celiac. They have gluten-free bread, cakes and, at those dates, Christmas sweets. I bought bread and polvorones and they were very tasty. The clerk was the first person who told us that in the region of Cangas there are a higher ratio of celiac population than in the rest of Spain. 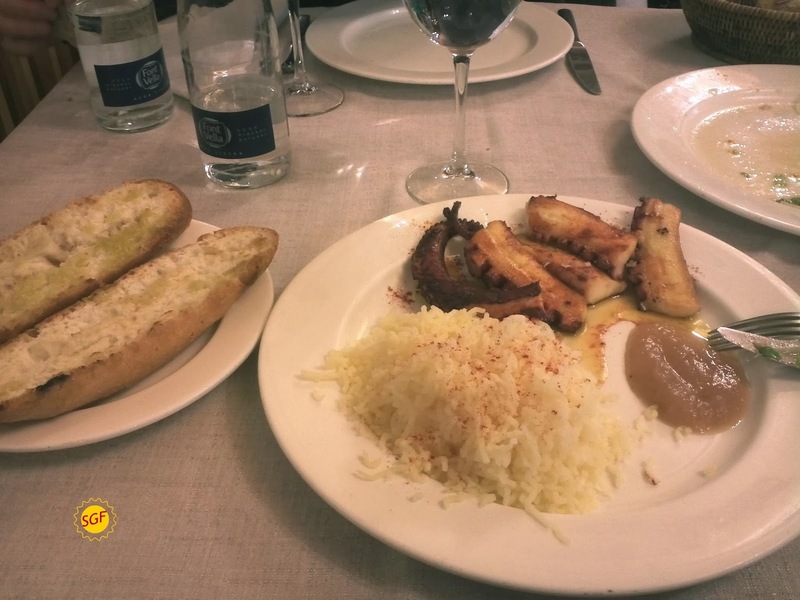 We went out to find a restaurant to eat and, in fact, we had no problem: at Restaurante Casa del Río (calle Mayor, 38) they told us what I could and could not eat. Most of the dishes of the menu were suitable for celiacs and others could be easily adaptable. Besides, the meal was very good and plentiful and, of course, they had gluten-free bread. I had a big salad and grilled octopus with potato and applesauce. As desert, a typical requesón (a cheese similar to ricotta) with honey. 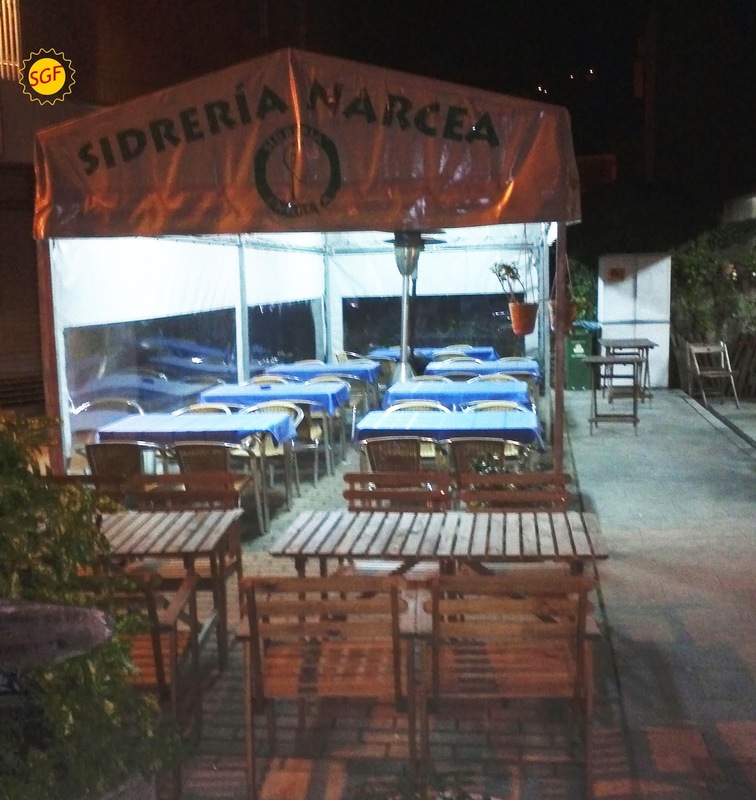 The other restaurant we visited during our stay in Cangas del Narcea was Sidrería Narcea, at calle Dos Amigos, 12. On this ocation, the waiter had followed the gluten-free diet, so it was easy to eat safely as well. 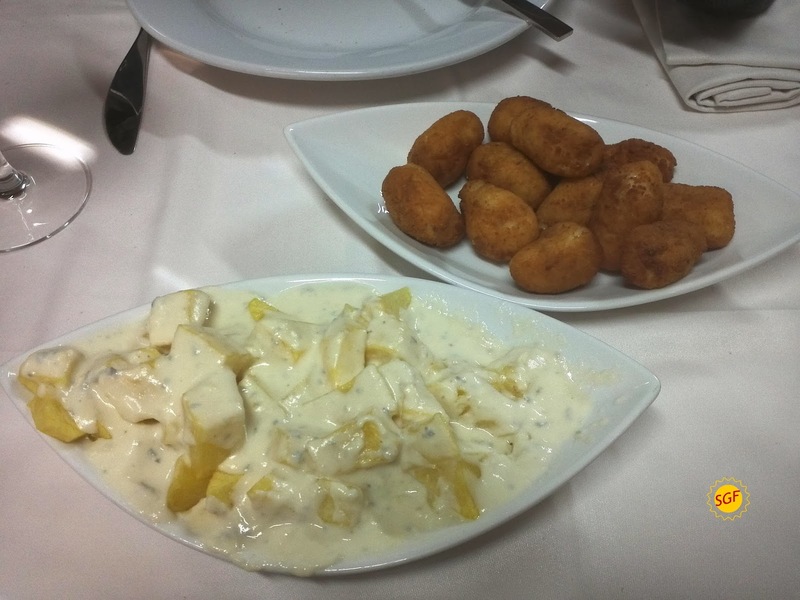 We had Cabrales cheese, croquettes (the first time I had croquettes since I was diagnosed) and mushrooms with eggs. Also GF bread and a ice cream. We had no time to visit more bars or restaurants, but I am pretty sure that there are gluten-free options in the other 5 or 6 restaurants of the town. I was happy the days I spent in Cangas and even more because it was a real surprise to find this little gluten-free paradise in the paradise of Asturias. Paisaje y gastronomía, Asturias, claro. Y además un entorno amigable con la DSG. Viendo el conocimiento que tiene del Norte Santa voy a replantearme lo de dejarle entrar por la chimenea, o eso o que los Reyes se pongan las pilas. :) Tan solo esas croquetas ya merecerían una visita, o cualquiera de sus quesos. Con más tiempo, y en Oviedo, un imprescindible: Ca suso. ¿De qué ratio hablaban, más del 2%? No sé en concreto qué porcentaje habrá, luego estuve buscando en google por curiosidad y sí, leí sobre el 2%, pero a saber. Se decía que hay un médico en Asturias muy preocupado por el tema y que gracias a él se ha diagnosticado a más gente. Me apunto el Ca Suso! Me encanta Asturias es tan bonita, esos paisajes verdes! Totalmente recomendable! Yo quiero volver con más tiempo, porque ofrece muchas posibilidades, tanto de naturaleza como gastronómicas. ahora me apetece octopus with potatos!!!! Sidrería Narcea is awesome and amazing Restaurant.